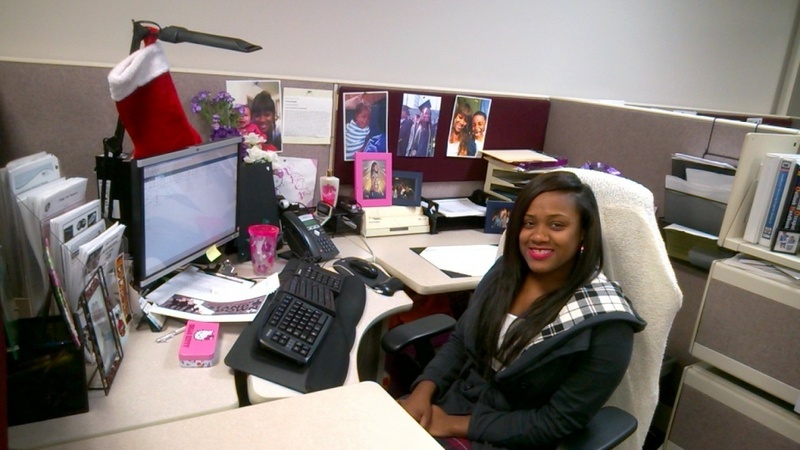 Sade Washington mentors at-risk youth who are looking for jobs. Since 2000, young people age 16 to 24 have been working less, earning less and even seeking employment less, according to researchers at the Brookings Institution. In some cases, the trends are dramatic. For example, the number of employed teens dropped by more than a third - 36 percent - between 2000 and 2014, even as the total number of 16 to 19 year olds increased by three percent. In their report, "Worrying declines in teen and young adult employment," authors Martha Ross and Nicole Prchal Svajlenka write that while typical teens don't need jobs to support themselves, their low rates of participation in the labor force could hurt them in the job market later. "Reduced work experience as a high school student, especially for those not enrolling in four-year colleges upon graduation, has been associated with lower employment rates and earnings in later years," they write. Regional economists have observed the national trend and point to an economy where more older workers are choosing to stay in jobs longer, in many cases to recover from losses during the economic downturn. "We've seen increases in the labor force participation rate of individuals who would normally be at retirement age," says Robert Kleinhenz of the Los Angeles County Economic Development Corporation. "So it could be they're crowding out younger individuals from getting into the work force and getting jobs." That's a reality Sade Washington has seen play out. She's a Youth Employment Opportunity Mentor in Los Angeles with the California Employment Development Department. "It’s taking away the opportunities of our individuals that need those jobs to gain some type of work experience and move on and get better jobs," says Washington, who works with at-risk youth. She's even seen a workshop offered to youth called "How to beat adults at jobs." But Washington says young people have their own issues to overcome that have nothing to do with being crowded out by older workers. One is a lack of patience, which is a result of technology. The youth she works with often expect things to happen with the same speed of their smartphones. "Patience is one of the major, important pieces of looking for work," Washington said.